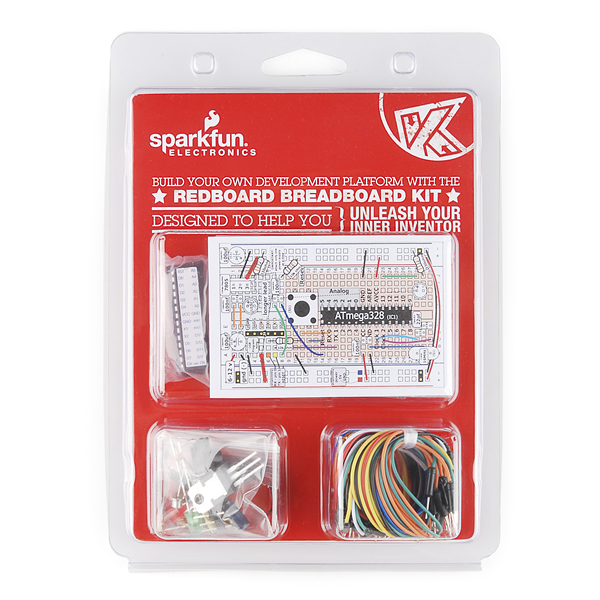 The RedBoard - BreadBoard Kit allows you to assemble your very own Uno-compatible development board on a breadboard. 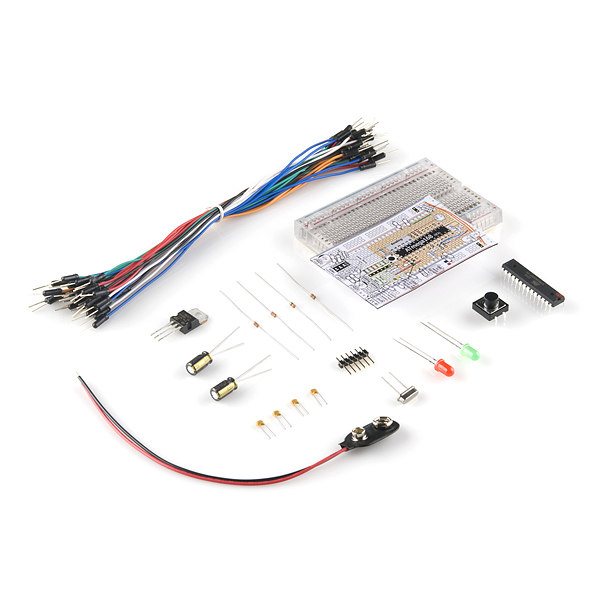 If you've ever wanted to make an Arduino-style board from scratch or just understand how it all works, this kit is a good start. We've put together all the parts you will need including an ATmega328 preloaded with the Uno bootloader. The breadboard overlay makes it easy to hook everything up correctly. 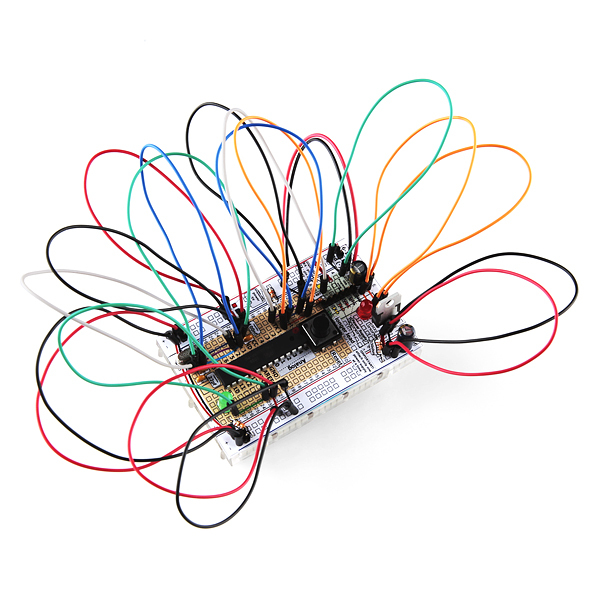 Once you are finished, you will have a fully functioning Arduino-compatible controller on a breadboard. An instruction booklet is included. 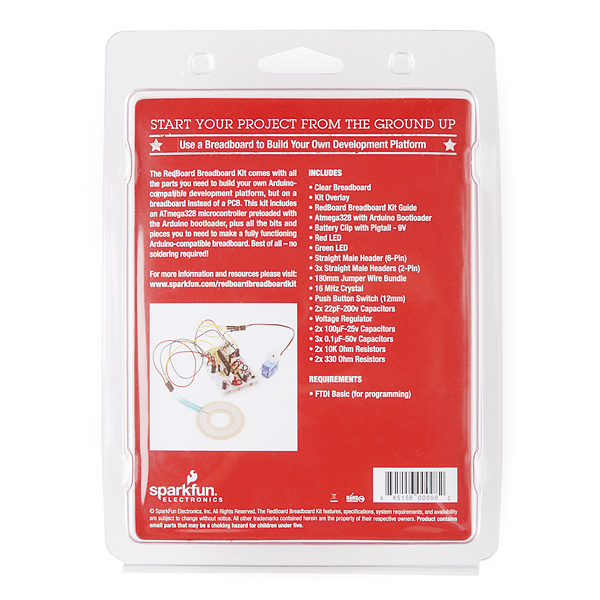 Previous experience with a breadboard and electronics is recommended but not absolutely necessary. 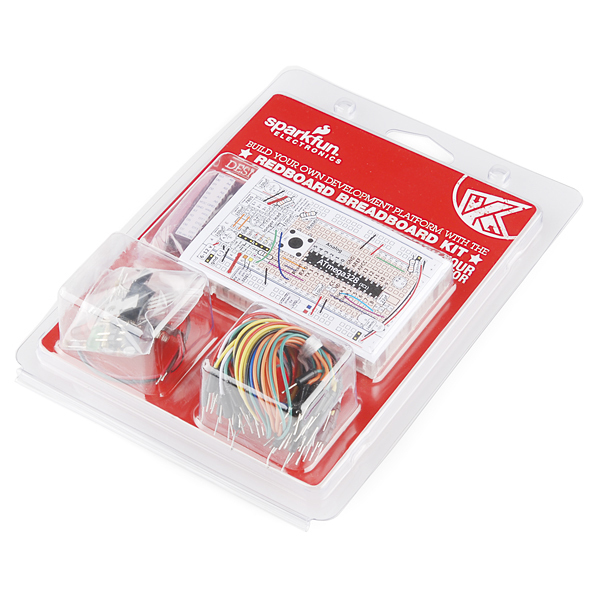 Note: You will need an FTDI basic 5V for loading code and communicating with the board. Check the related products down below. How many Jumper wires are in the bundle? 30 wires in the bundle.